Organized and sponsored by the Chinese Overseas Transportation Association (COTA), Roma Tre University, the Sapienza University of Rome and Transportation Research Board (TRB), the 2019 COTA International Symposium on Emerging Trends in Transportation (ISETT) will be held in Rome on October 3~5, 2019. With a theme on emerging technology and policy trends related to urban transportation solutions, this Fall Symposium series is a new annual international addition to the successful Summer CICTP Conferences and Winter TRB Workshops, organized by COTA and its partners annually for the past 18 years. The first symposium (ISETT2018) was held in Hawaii on October 4-6, 2018. It brought together about 100 of the best researchers and professionals working on transportation, and was hailed as a great success. The 2nd ISETT aims to build on the success and continue to stimulate exchange of ideas among transportation professionals in academia, industry, and government. This selective, top-tier venue will cover a broad range of topics spanning emerging policy, technology, and innovation trends, including both theory and practice. With over 700 years of history, 111,000 students, 4000 teachers and 4000 employees, technicians and librarians, Sapienza is the largest university in Europe. The world's leading university rankings place Sapienza at the top of Italian universities for quality of research, education and international dimension; moreover, Sapienza excels and leads as a benchmark in many subject areas. Conference events will be hosted at the Faculty of Civil and Industrial Engineering, located near the Coliseum and adjoining the Saint Peter in Chains Church, which holds one of the greatest masterpieces of Italian art, Michelangelo's Moses. 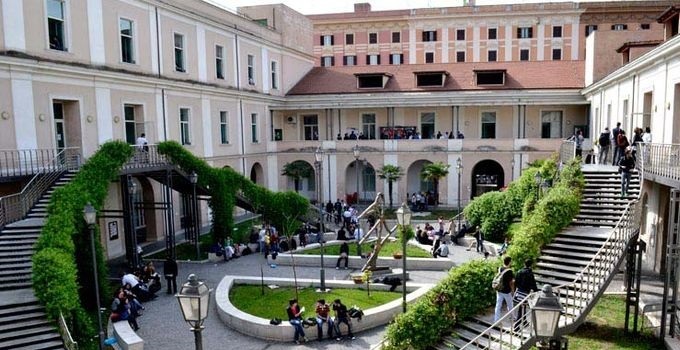 Founded in 1992, Roma Tre University is the second-largest university of Rome by enrollment and one of the largest research-based institutions in the country. Located near the wonderful Basilica of St. Paul's Outside the Walls, the university comprises 2 schools and 12 departments, enrolling more than 35,000 students and having 1,370 academic and professional staff. At present, the university offers 30 undergraduate degree programs, 44 master's degree programs and 20 PhD programs. Within Roma Tre University, 4 Departments have been awarded and funded as Excellent Departments for their high quality of the research. Department of Engineering, hosting this COTA Symposium, is one of them.